The stylish Fairway™ bench will enhance any setting. 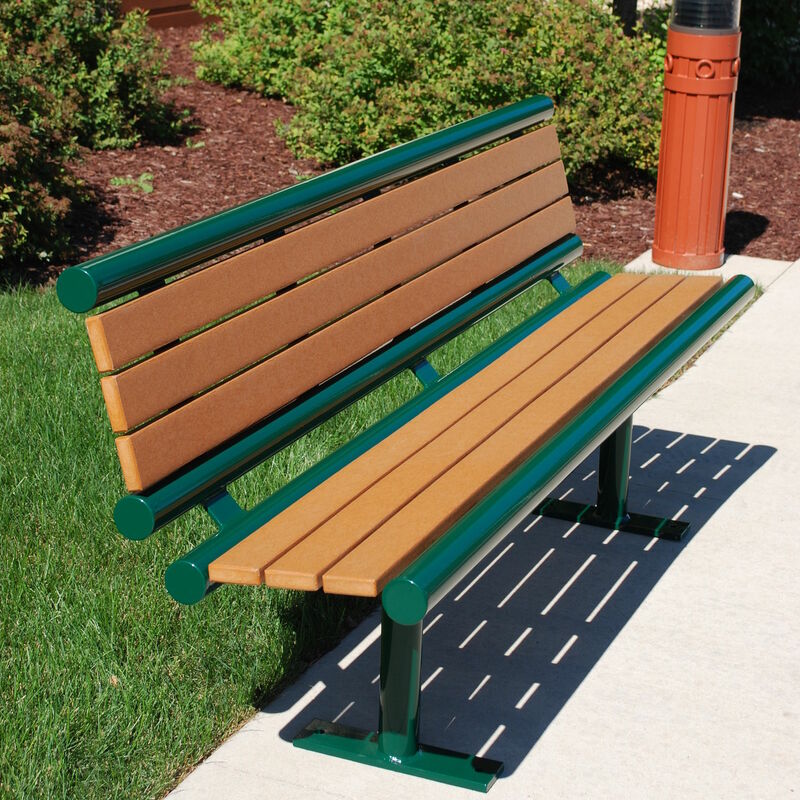 The Fairway™ bench’s seat is made of 1x3 Board Profiles availabe in either Ipe Wood or Recycled Plastic. The frame is made with 3/8 x 3” Flat Bar and 2 3/8 Diameter Tubing. 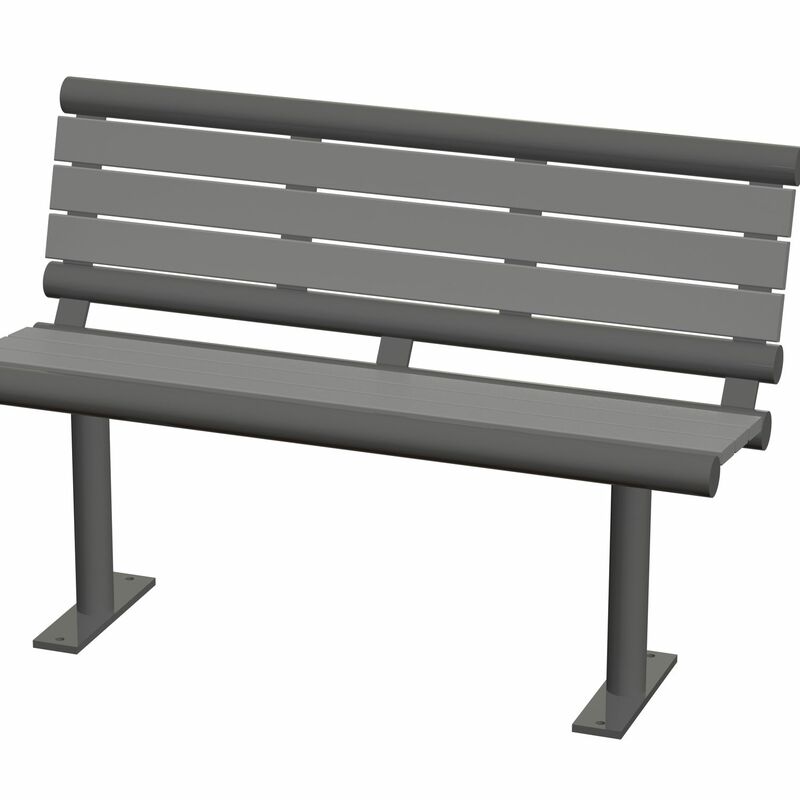 Benches are available in 2, 4, 5, 6, and 8 foot lengths. Optional styles include Ipe Wood or Recycled Plastic, with a powder coat finish in a wide choice of colors.